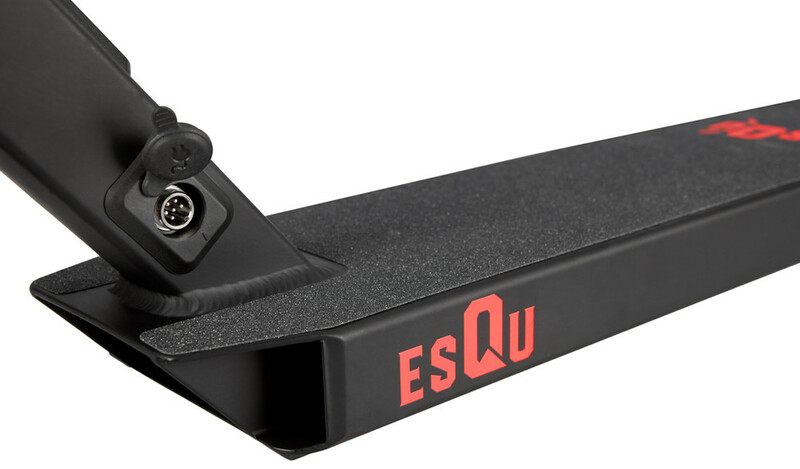 De Chilli EsQU is een electrische stunt step. 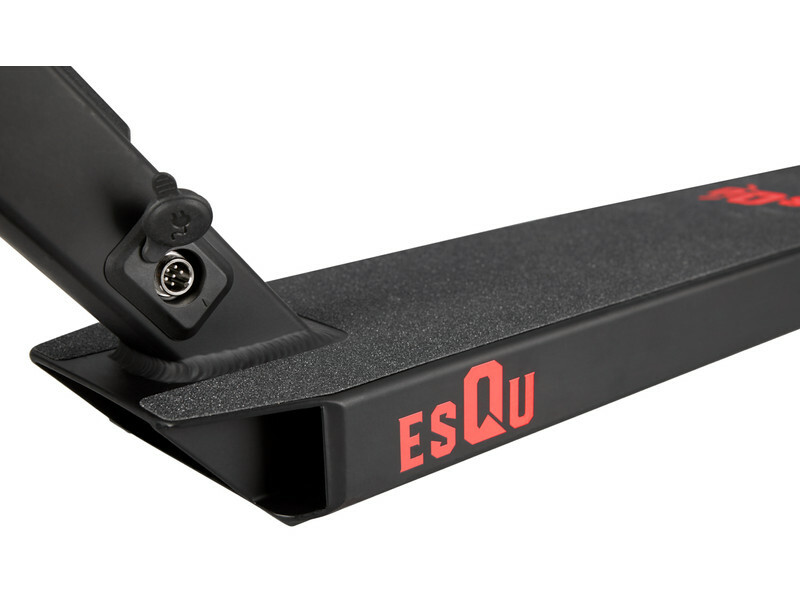 Het feit dat deze E-Step sterk genoeg is om mee te stunten is uniek binnen de elektrische steppen. Deze step heeft stepondersteuning dat wil zeggen dat iedere afzet ondersteund wordt en je dus meer snelheid krijgt en kan een maximale snelheid halen van 18km per uur. 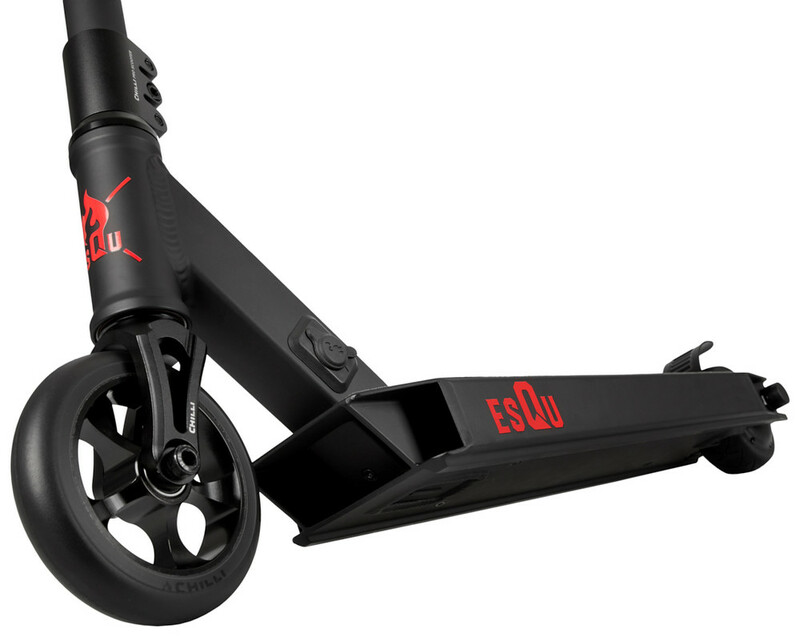 The mobility of the future is a man-machine cooperation: the EsQU E-Scooter with 100 watts of power. 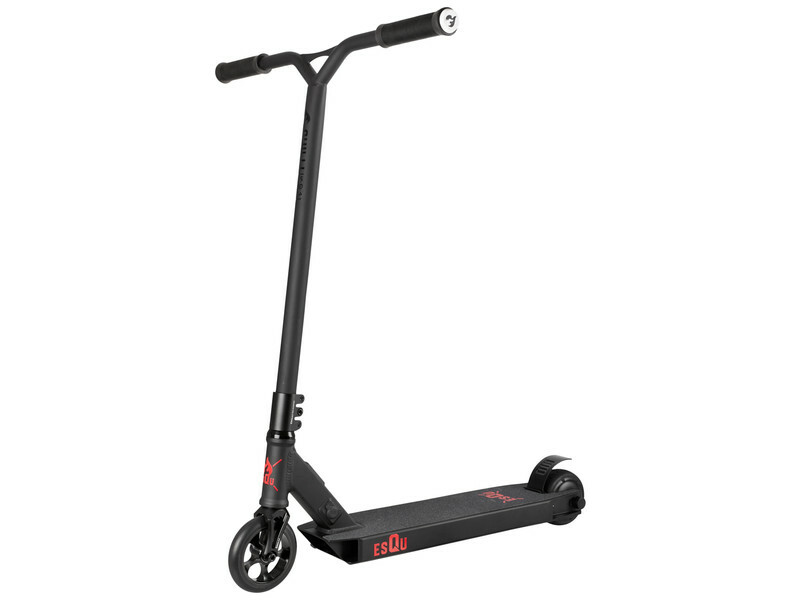 If you're looking for speed and style, get on the fast scooter. 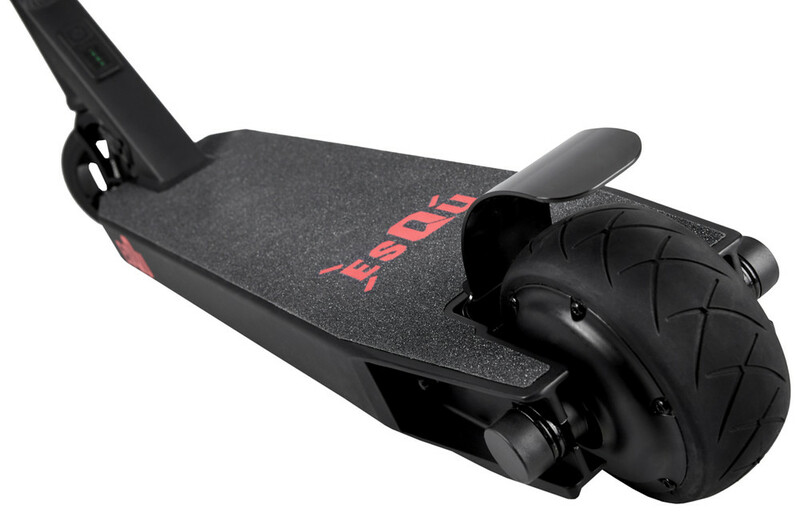 With its 24-volt engine, the E-Scooter reaches a top speed of 18 km/h. 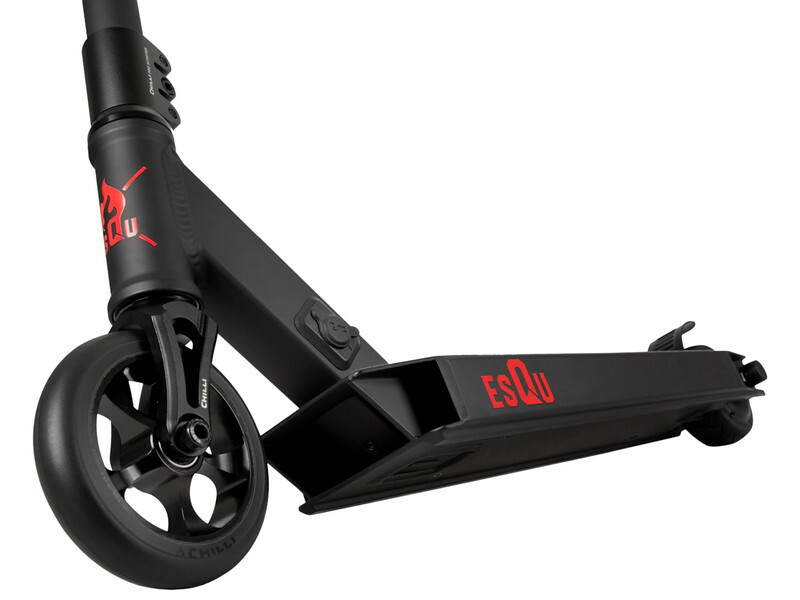 With one battery charge, the EsQU E-Scooter achieves a maximum distance of more or less 9km — depending on the driving style. A big plus of the small power pack: After approx. 3 hours on the charger, the scooter is fully charged again and ready for the next tour. 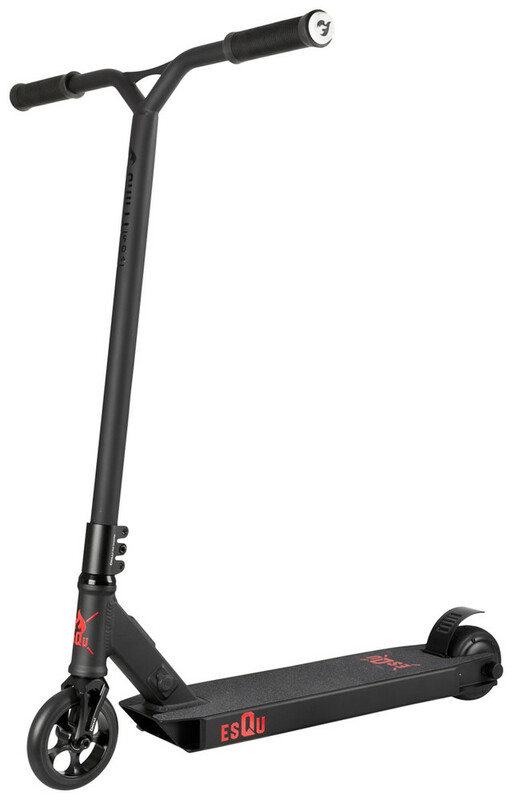 The Hybrid-E-Scooter is a robust aluminium stunt scooter that supports the rider and maintains the speed achieved by muscle power. 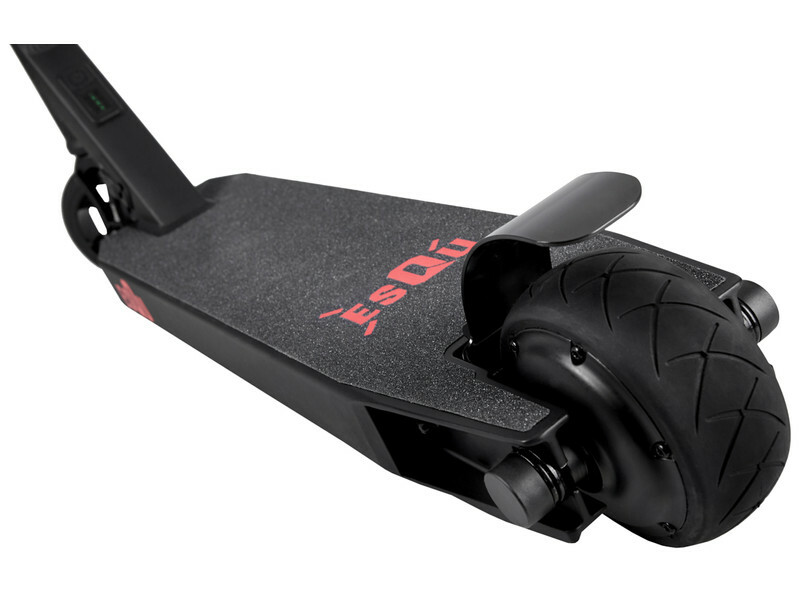 Of course, you always have the option to switch off the support and use the scooter as a normal scooter.